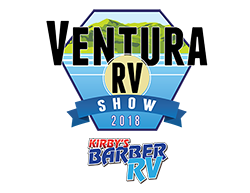 The 2018 Ventura RV Show is HERE at Kirby’s Barber RV. Tour an amazing selection of new and use Motorhomes, Travel Trailers, Fifth Wheels, Campers and more - for every lifestyle and budget. Featuring some of the most popular manufacturers - like Winnebago, Forest River, Lance and Thor. You’ll see the newest coaches, experience the latest technology and speak directly with the manufacturers. Professionals will be on hand to teach you the best way to care and service your RV. Banks will be on hand to get you easy financing right on the spot. Bring your RV to get a free appraisal. This is the best opportunity of the summer to buy, sell or trade your RV.